You probably know how hard it can be to clean the grout lines on your tile floor. Let us restore the beauty of your tile and grout with our powerful equipment. You’ll be surprised at the results! We will pre-treat the area applying a professional cleaning solution to the floor that loosens dirt, grime, oils and bacteria; with our powerful high pressure hot water machine, will penetrate and eliminate even the toughest stains. -Avoid using steel wool, scouring powders, or other abrasives that can scratch the finish of the tile. -Don’t use bleach or ammonia based cleaners, as these products can discolor your grout if used too often. 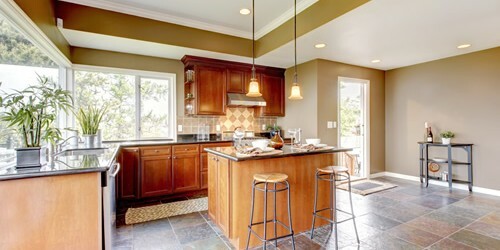 -Try to clean up spills as quickly as possible so that the grout or tile doesn’t become stained.